For the best custom bookcases in Dublin & Ireland, choose A.D Woodcraft! 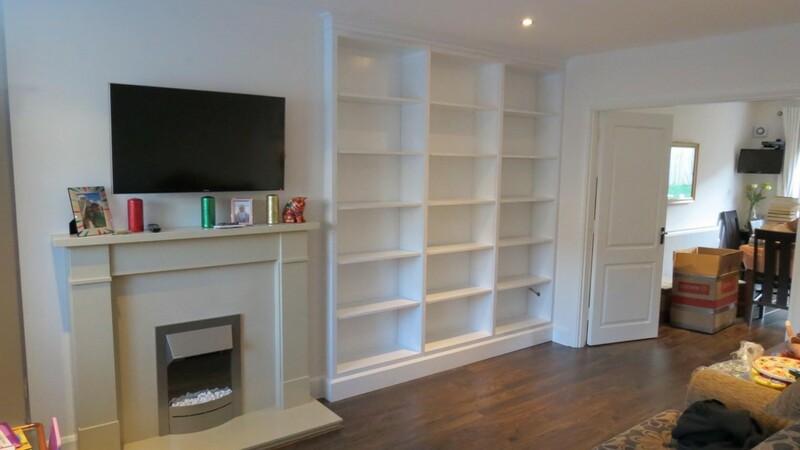 We specialise in creating bespoke bookcases in your chosen material and finish. 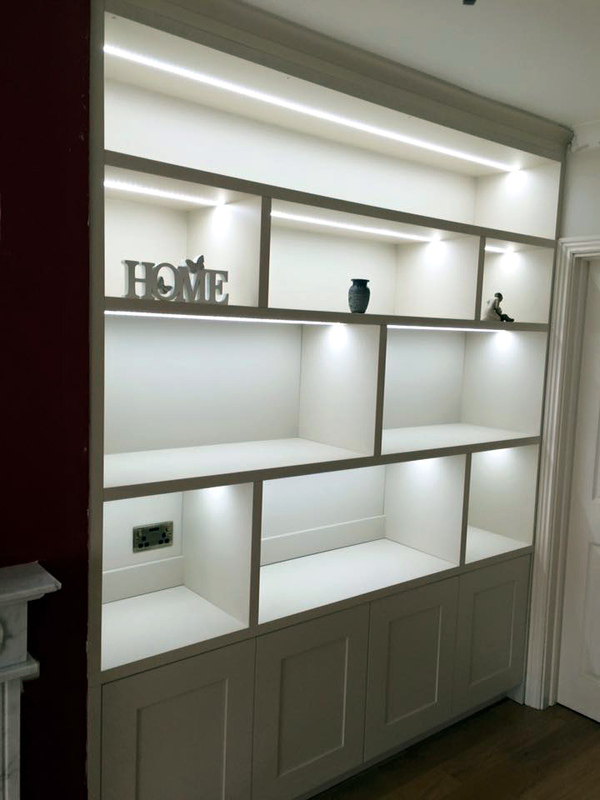 With endless choices from small units with simple shelving, to floor to ceiling units with intricate shelving, we know how to make custom bookcases in Dublin, Ireland. We will help you make the best use of your space in the best possible way. Our custom bookcases can be made any size and fit any space, no matter the shape or size of the room. 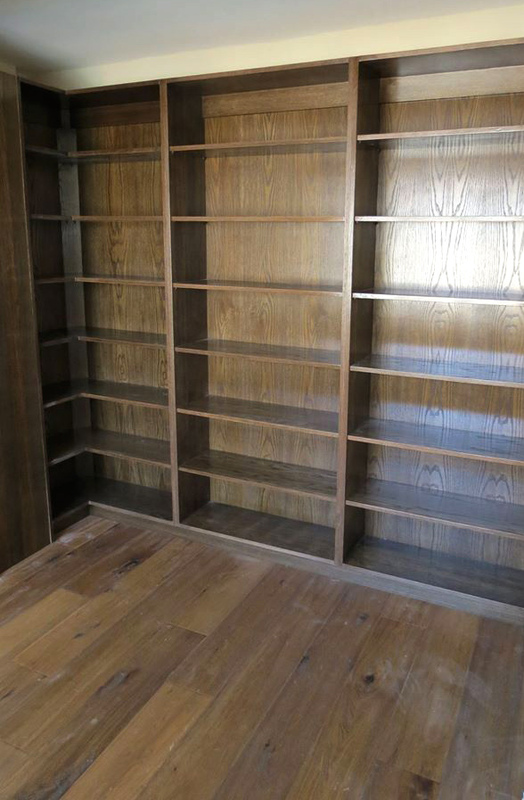 We build your fitted bookcase in Dublin, to meet your exact needs, accounting for the size of your books, ornaments and any other belongings, meaning everything fits perfectly. If you have an electric socket behind your unit, you have the option to add lighting to your bespoke wardrobe. A switch and lighting can be added to the bottom of the shelves to shine down onto the top of your books. Our highly skilled carpenters will help design, build and fit your custom bookcases in Dublin, Ireland to meet your exact requirements. Whether your requirements are big or small, we have the expertise to assist you. 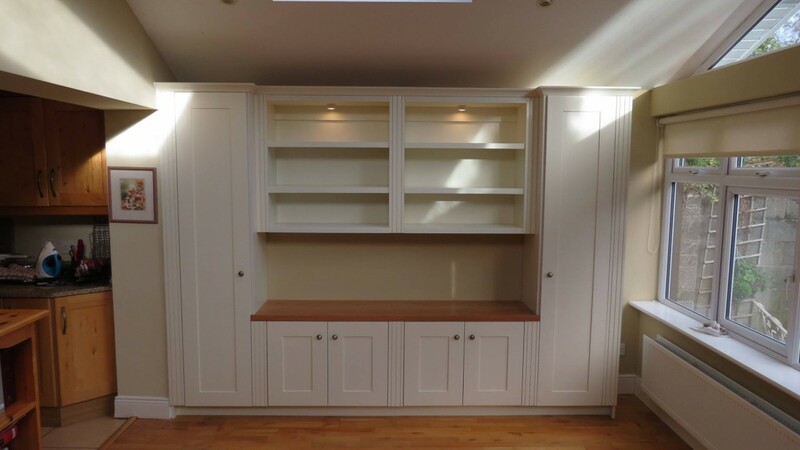 With many years of experience as professional carpenters in Dublin, A.D Woodcraft have worked on a wide range of customers, both domestic and commercial. Our aim is to provide you with an unrivalled service with value for money. 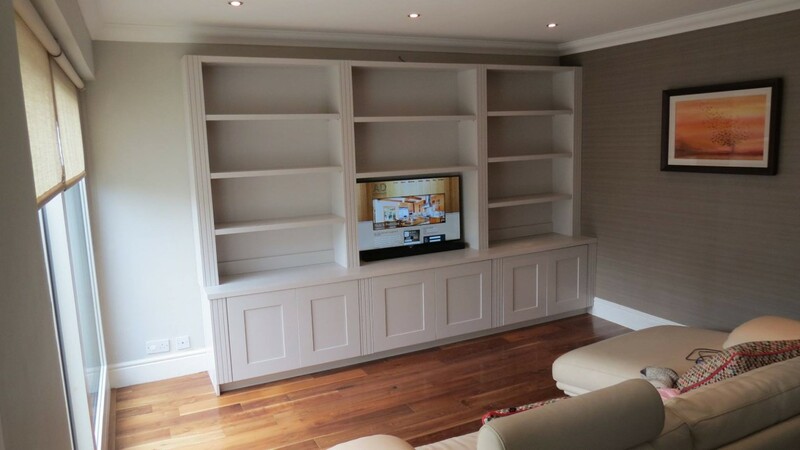 To find out more about how we can build your dream custom bookcases in Dublin, please call our carpenters on 00 353 85 127 0371 or, alternatively, email info@adwoodcraft.com and we will get back to you as soon as possible.